Blending Cod Liver Oil and Evening Primose Oil, Super Codlivine Joint Liquid is rich in polyunsaturated fatty acids that aid joint maintenance. Boosted with GLA, DHA and EPA, regular dosage can maintain mobility and ease of movement, reducing joint stiffness and aiding a sustained active lifestyle. Each bottle has a measuring chamber an the top so the liquid can be accurately dispensed. 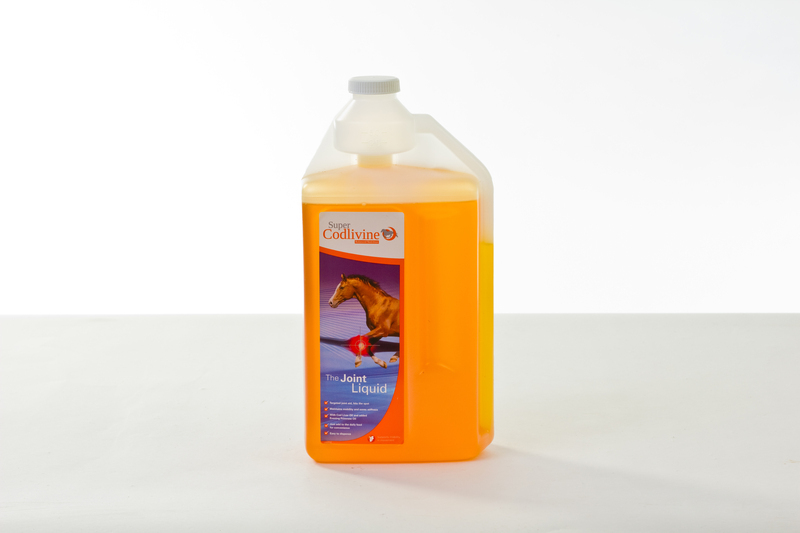 Below are some recent questions we've received regarding Super Codlivine Joint Liquid for Horses, including answers from our team. Yes all ages of horses can use this product. If you wanted to also feed glucosamine with MSM you could do, however the ingredients in this product are a selection of fatty acids which have many properties to help support the whole joint including healthy cartilage.